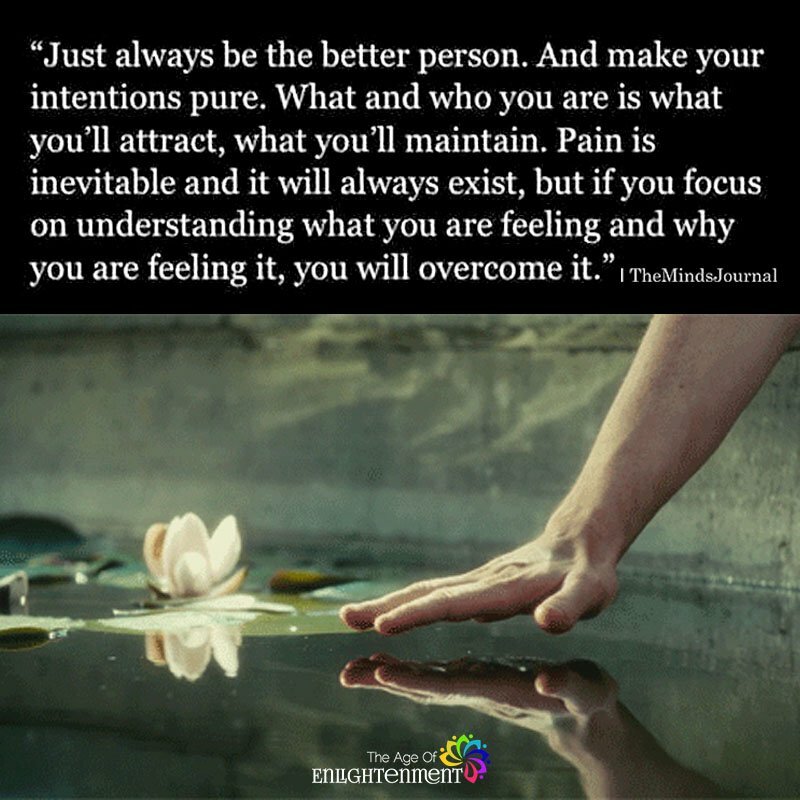 Just always be the better person. And make your intentions pure. What and who you are is what you’ll attract, what you’ll maintain. Pain is inevitable and it will always exist, but if you focus on understanding what you are feeling and why you are feeling it, you will overcome it.